The Ka-Bar name was established during the 1920s, and that name was (and is still currently) used on the company’s knives. But our story begins before then, back in 1898, when Ka-Bar was originally known as the Tidioute Cutlery Company and they began to sell cutlery in and around Pennsylvania. Some years later, in 1909, the company was renamed Union Cutlery. So where does the name Ka-Bar come in? The story behind that name is that at the turn of the 20th century, a fur trapper had sent a letter to the company. In the letter, he told them how his gun jammed while he was trapping a bear. He was left with only his knife to confront the wounded animal, which was attacking him. The letter’s writing was a bit smudged, so what was presumably “kill a bear” (or something close to that) became “k a b ar”. The rest, as they say, was history – and the name “Ka-Bar” stuck. This is one of the world’s most famous knife brands, and if we glance for a moment at a history of Ka-Bar knives, part of what made it so famous was the part it played in World War II. In 1942, when the United States Marine Corps was shipping out, there were complaints about the Mark I trench knife which was being used by the troops. The U.S. War Department saw a need for a new fighting/utility knife, and asked different companies to submit designs. Later in 1942, the Marine Corps accepted Ka-Bar’s design, designated the USMC Mark II, and began using the knife as their standard issue fighting/utility knife. Up until then, other corporate names were being used and branded on the knives. Those other names were Keenwell and Olcut. However, after World War II, the company’s managers decided to ride the wave, and officially changed the company’s name to Ka-Bar. In the 1960’s, the business was sold by the Brown family, and it changed hands several times before becoming part of the Cole National Corporation in 1966. For 30 years, Cole maintained the Ka-Bar product line and its assets. In 1996, the company was sold again, this time to the Alcas Corporation of Olean, New York. In 1998, the company celebrated 100 years of excellent knife-making, and in 2003 Ka-Bar moved to its current location in Olean, New York. About 10 years later, Ka-Bar bought the Ek Commando Knife Company, and it began producing a series of knives with the Ka-Bar/Ek brand on them. These days, Ka-Bar’s future is looking bright. It has a strong legacy and proud heritage, and it is not showing any signs of slowing down. For over 100 years, it has been providing tools and cutlery of all kinds to Americans everywhere. 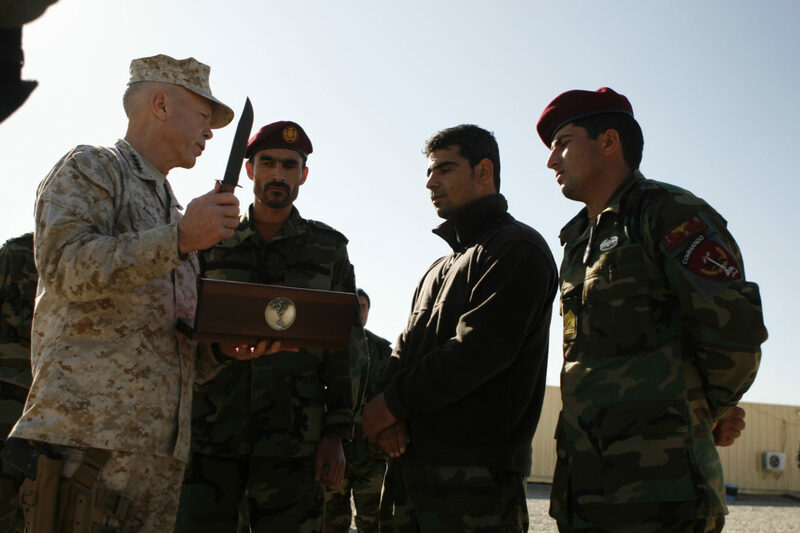 As far as the military is concerned, Ka-Bar is a staple. Over the years, the company’s knives have been issued to USMC and Navy personnel. They have been used by the Army, Coast Guard, and basically every branch of U.S. Military. You want to talk about combat action? 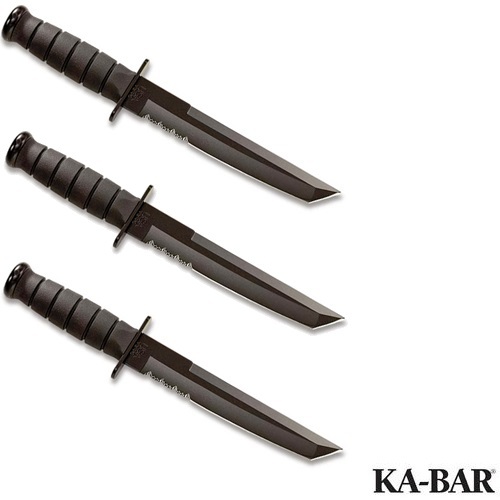 The Ka-Bar knives have been used by U.S. soldiers fighting in the Second World War, Korean War, Vietnam War, Gulf War, Afghanistan War, and right up to our present-day Iraqi War. But the Ka-Bar knife is not strictly a military weapon. A civilian version of the Ka-Bar USMC Mark II was also produced, and it became a well-known hunting/utility/general purpose knife. These days, Ka-Bar produces over 100 different knives for a variety of purposes: hunting, survival, utility, sporting, as well as military/law enforcement. Ka-Bar’s best-selling knife is still the original, fixed-blade, USMC-branded fighting knife. It is the world’s most famous design, and it is still made right in the USA. Ka-Bar knives come with a limited lifetime warranty, and the promise of perfection which will not let you down. The Ka-Bar USMC fighting knife has a 7-inch straight edge blade made of 1095 Cro-van steel. 1095 is a carbon steel, which is easy to sharpen and maintain. It is one of the most widely-used steels in the Ka-Bar knife line. The handle is made of leather, and it come with a sheath which is also made of leather. More than 70 years after the knife was first designed and produced, it keeps on serving America’s finest, as well as the general population. Made for camping, hunting, survival, and the like, this 5.5-inch fixed blade is made of 1095 Cro-van steel. The handle is made of a polymer-like substance named Grivory, a strong and very durable material which complements the Becker and turns it into the ultimate lightweight camping and hunting tool. Whether you are using the Becker BK2 Campanion knife to chop firewood kindling or slice a tomato, the BK2 gets the job done, and fast. Looking for adventure? Get ready for the BK2. This is a knife which is used by all branches of service and military. The blade is black, 7 inches long, and made of 1095 Cro-van steel. It features a Kraton G handle, which is a glass reinforced nylon (not unlike high strength polymer). Kraton G is used as a substitute for rubber, and this serrated edge knife can take a lot of punishment without compromising its shape or reliability. Everything about this knife is high-quality, and it is no wonder that it is one of the most popular knives in the service. A hard sheath is included with this unique weapon. According to the Ka-Bar website, this knife was made with the “toughest, roughest users in mind.” It is a thick pointed blade which was designed for comfort and very high performance. Made with 1095 Cro-van steel and a Kraton G handle, the Black Tanto knife is a great feat of knife-making. A glass-filled Kydex nylon sheath is included with this heavy-duty knife, and its point is perfect for precise penetration. The Tanto blade is 8 inches long, lightweight, thick, partially serrated, durable, and up for any task – from gardening and keeping house, through cooking and wood-chopping, to survival and combat situations. 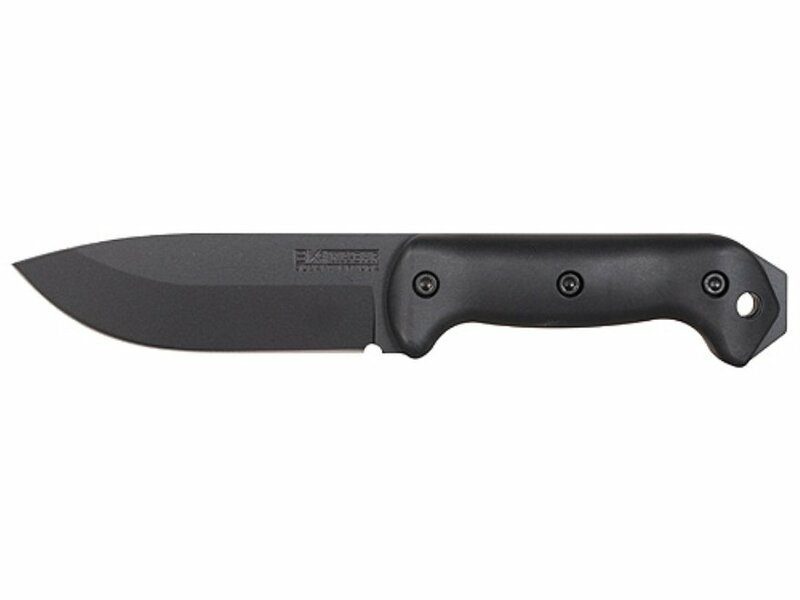 This one is reminiscent of the Tanto, with its black coloring and 7-inch fixed blade. This knife has no special features, nor should it have. After all, Ka-Bar was never about bells and whistles, it was about getting the job done. This is a straight up, practical, tactical, all-purpose utility knife. It has a straight edge, a hard Kydex sheath, and Kraton G handle. It can be used for every day carry / self-defense / combat, as well as camping, hunting, cooking, and pretty much any outdoor activity. Basically, any run-of-the-mill knife – even one bought at your local 99 cents store – can cut or poke a hole through something. However, when push comes to shove, you need to be able to depend on your knife. It needs to have a quality blade with a sturdy knife handle material, as well as reliable materials in its makeup. There’s nothing special about producing a knife that will break the second it makes contact. Creating a knife which is fit for the U.S. Marine Corps? That is special. Ka-Bar has been in the knife-making business for over 100 years. 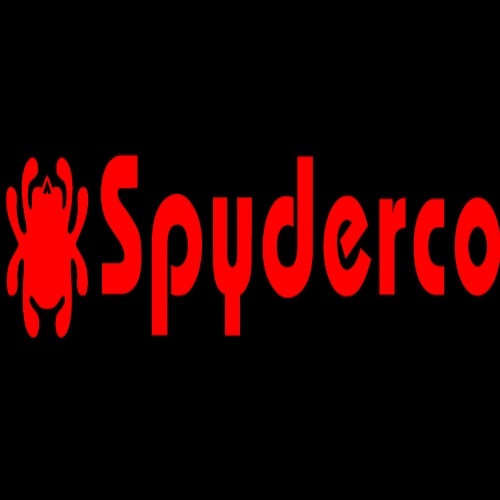 They did not make a name for themselves by letting their customers down. Their knives are the stuff of legends, and they are among the most widely-used cutting tools in the world. 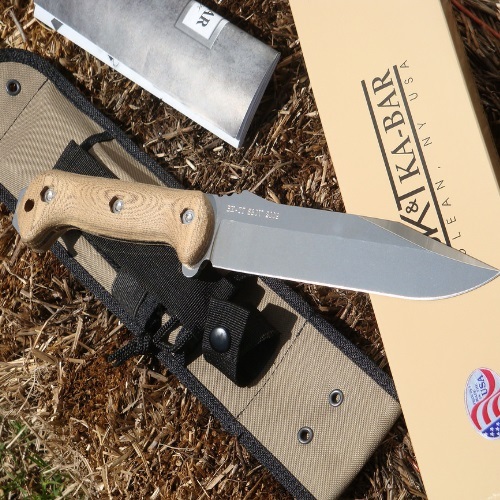 Whether it is for civilian or military use, Ka-Bar’s superior craftsmanship and high-quality designs make it the kind of knife that will not only serve its owner well, but that can be passed down to future generations. Another popular seller is the Mtech tactical folding knife – as always, best to look into a few options before deciding on which knife is right for you.